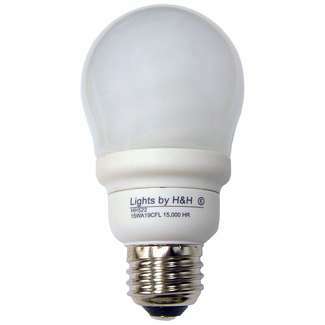 H&H's A-Shape full spectrum CFL light bulb can fit about anywhere a regular incandescent lamp is used. If you don’t like the shape of a traditional spiral CFL here is an option that gives you the traditional incandescent frosted glass look without seeing the CFL light source. 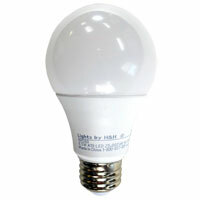 The HH522 is a 13 watt A19 shaped Vi-Tek 93® Plus compact fluorescent lamp. At 6700 degree kelvin and 84+ CRI you have the best usable light available. 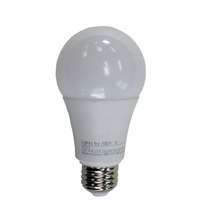 It can be put in about anyplace a normal A19 incandescent lamp is used. In your table lamp for a brighter whiter lamp with better see ability. Recessed cans, bathroom vanities, trouble lights, medium based fan kits, wall sconces, pendant drop lighting, and most any medium based socket application. Do not use with dimmers or touch lamps. Not recommended in enclosed unvented fixtures. Vi-Tek 93® Plus is the brightest sunlight-simulating fluorescent and the only 6700K lamp on the market. 6700K closely matches natural north-sky daylight and blends beautifully with window light. Comes with a 1 year free replacement warranty and the long burning life reduces maintenance and replacement costs.